Jim Quinn’s “You Ain’t Seen Nothing Yet” is an incredible analysis of the on-going global financial crisis that is leading to the Greatest Depression mankind has ever known. This is the first in a three part series done by Jim’s The Burning Platform, a blog which I highly recommend. He summarizes much of the economics and financial analysis I’ve been researching and writing for the last 5 years (since September 2007). He writes about the United States from an American perspective. If you live outside the U.S. you are NOT safe. Just ask the Australians who are witnessing their own housing bubble beginning to burst despite their resource based economy. The U.S. is the world’s largest, most powerful economy and what happens to America will affect the entire globe. The American so-called recovery is nothing but election year propaganda. Their downturn will accelerate after the November elections because NONE of the fundamental causes of this crisis have been fixed. Europe is sinking into recession. China is slowing down and its apartment bubble bursting. Australia’s housing bubble is bursting and Canada is next with the first signs of listings increasing and sales slowing in BC and Calgary. The inevitable next step is falling prices that will accelerate listings and slow sales further as buyers sit on the sidelines waiting for even lower prices in a downward spiral. All bubbles eventually burst. I can’t improve on Jim’s astute analysis so I’m am reproducing it in its entirety below and providing links to Parts 2 & 3 at the end. Watching pompous politicians, egotistical economists, arrogant investment geniuses, clueless media pundits, and self- proclaimed experts on the Great Depression predict an economic recovery and a return to normalcy would be amusing if it wasn’t so pathetic. Their lack of historical perspective does a huge disservice to the American people, as their failure to grasp the cyclical nature of history results in a broad misunderstanding of the Crisis the country is facing. The ruling class and opinion leaders are dominated by linear thinkers that believe the world progresses in a straight line. 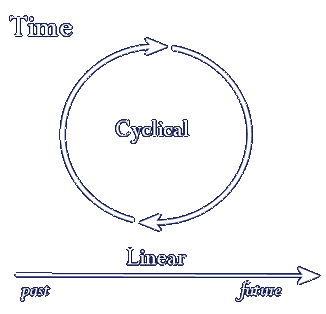 Despite all evidence of history clearly moving through cycles that repeat every eighty to one hundred years (a long human life), the present generations are always surprised by these turnings in history. I can guarantee you this country will not truly experience an economic recovery or progress for another fifteen to twenty years. If you think the last four years have been bad, you ain’t seen nothing yet. Hope is not an option. There is too much debt, too little cash-flow, too many promises, too many lies, too little common sense, too much mass delusion, too much corruption, too little trust, too much hate, too many weapons in the hands of too many crazies, and too few visionary leaders to not create an epic worldwide implosion. Too bad. We’ve experienced horrific Crisis periods three times in the last 250 years and winter has arrived again exactly as forecasted by Strauss & Howe in 1997. The linear thinkers will continue to predict a recovery that never arrives. We have awful trials and tribulations, dreadful sacrifices of blood and treasure, and grim choices awaiting our country over the next fifteen years. Linear thinkers will scoff at such a statement as they irrationally view the world as a never ending forward progression towards a glorious future. History proves them wrong. We stand here in the year 2012 with no good options, only less worse options. Decades of foolishness, debt accumulation, and a materialistic feeding frenzy of delusion have left the world broke and out of options. And still our leaders accelerate the debt accumulation, while encouraging the masses to carry-on as if nothing has changed since 2008. 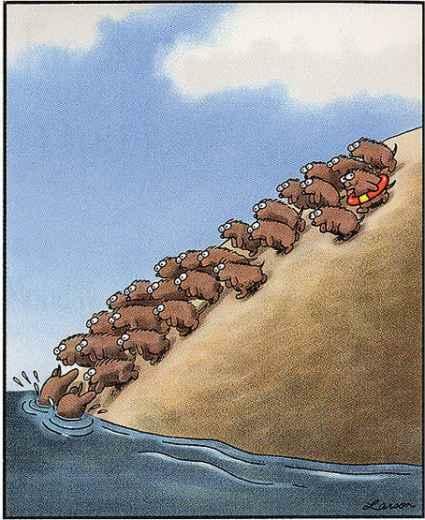 Sadly, millions of lemmings want to believe they will not drown in the sea of un-payable commitments. Truth is a scarce resource on the planet today. •	We’ve increased our national debt by $5.6 trillion in the last three and a half years. It took from 1789 until 2000, two hundred and eleven years, to accumulate the first $5.6 trillion of debt. •	Our average annual deficit from 2000 through 2008 was $190 billion. Our average annual deficits since 2008 have been $1.3 trillion. Our deficits never exceeded 4% of GDP prior to 2008, but now they exceed 9%. •	The national debt will reach $20 trillion by 2015 and if interest rates normalized to the same level they were in 2007 (5%), annual interest expense would be $1 trillion, or 45% of current tax revenue. •	There are 242 million working age Americans and 100 million of them are not working. But don’t concern yourself. The Federal government reports that only 13 million of these people are actually unemployed. The other 87 million are just kicking back and living off their accumulated riches. 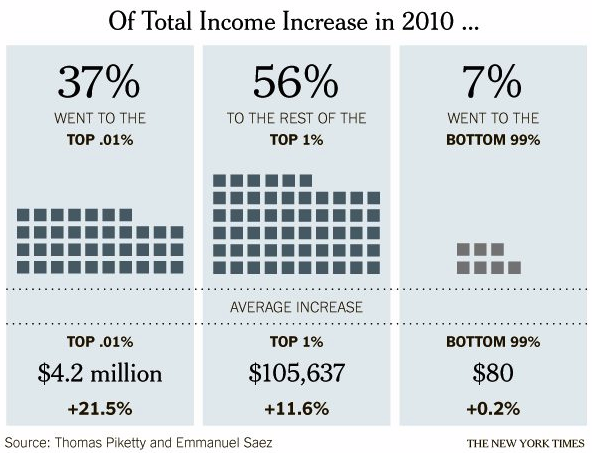 •	The economic recovery has been so great that the 7.5 million people added to the Food Stamp rolls since the recession officially ended in December 2009 isn’t really an indication of severe stress among the 99%. Only 46.5 million Americans (15% of the population) need food stamps to survive. 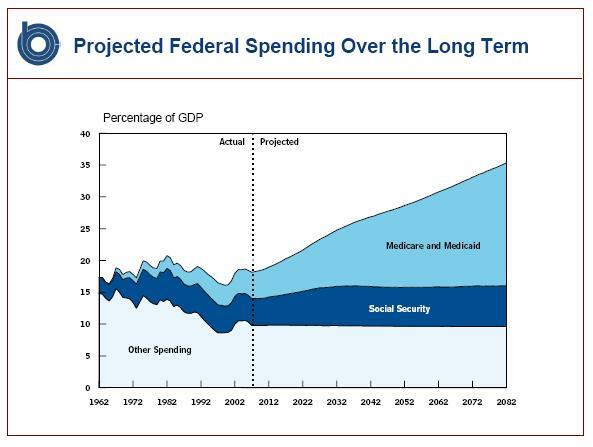 •	The unfunded liabilities of Medicare, Medicaid and Social Security exceed $100 trillion and cannot possibly be honored, leaving future generations to fend for themselves. •	Our leaders have fought two undeclared wars of choice since 2001 that have resulted in 6,400 unnecessary soldier deaths, 47,500 badly wounded, $1.3 trillion of borrowed treasure, with unfunded liabilities of at least $2 trillion more, and we are itching for more of the same with our coming war with Iran. A bankrupt empire still trying to police the world is the ultimate act of hubris. •	After causing a worldwide financial collapse in 2008 with their extreme risk taking, tangibly fraudulent mortgage schemes, and reckless pillaging of their clients and the American people, Wall Street used their complete systematic capture of our political and economic system to shift $8 trillion of toxic debt from their books onto the backs of American taxpayers. They have since become even more flagrant in their disregard for human decency by using the hundreds of billions in free money funneled to them by Ben Bernanke to take even bigger risks and pay themselves grander bonuses. Total unregulated derivatives (real WMD) outstanding now exceed $700 trillion. •	Since 2001 the Federal government has used fear to assume unprecedented and unconstitutional powers over the citizens of this country. They can now use surveillance to monitor your phones calls, emails, and websites visited, without warrants. You can be imprisoned without charges for as long as the government decides you are a threat. TSA agents molest little old ladies and children trying to fly on airplanes. The President can take over the entire economy through presidential decree. Predator spy drones can eliminate suspected terrorists whenever a general gives the command. An order for 30,000 spy drones to be flying over U.S. cities should make you feel safe. The $2 billion NSA Utah Data Gathering Center (code name Stellar Wind) will be able to intercept and store every electronic signal on the planet by 2013. Sacrificing liberty for perceived safety and security isn’t working out too well for the American people. Anyone with an ounce of critical thinking skill would conclude our current situation is far from normal. We’ve become a cognitive dissonant nation. We convince ourselves the best way to solve a debt problem is to create more debt. We believe we are made safer by attacking foreign countries. We have convinced ourselves it makes sense for Too Big to Fail Wall Street banks that create systematic financial risk to get even bigger, after their fraudulent frenzy of greed virtually crashed our economic system. We actually believe the two party political system offers us a choice, when both parties genuflect to Wall Street, gratify corporate special interests, fight never ending wars, and spend money they don’t have. We choose to believe government statistics that claim inflation is running at 3%, when our everyday reality attests it to be 10%. We trust the Federal Reserve to maintain price stability even though their policies have resulted in a 97% depreciation in the U.S. dollar since 1913. 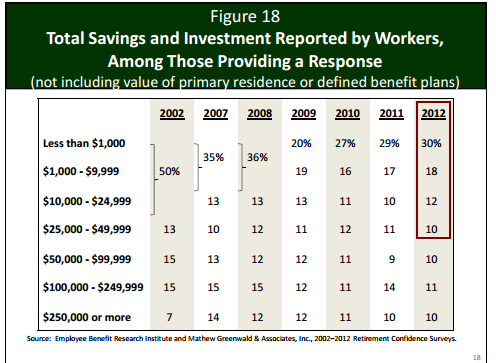 We believe the future will be bright, even though 60% of workers have less than $25,000 in total savings. In the ultimate example of cognitive dissonance the majority of Americans scorned and ridiculed the young people being beaten, maced and arrested for protesting the rampant criminality of the Wall Street 1%ers while supporting a billionaire banker bailout, 0% interest rates that punish senior citizens and savers while encouraging further debt accumulation, and not be outraged that not one criminal banker has gone to jail. They somehow are able to observe the data in the table below and still believe that America offers equal opportunity to everyone. Using a seasonal analogy, the Crisis is the wintry bitter dark era, where deadly blizzards rage and the citizens are pushed to the brink. In retrospect the three previous American Crisis periods seem easy to predict, but one year prior to their onset NO ONE could have predicted the epic sacrifices and horrific casualties of war to follow. In 1772 there were few people expecting America to declare independence and fight an eight year war for independence. In 1859 virtually no one expected the election of Abraham Lincoln as president and an ensuing war that would kill 700,000 American men. In 1928 no one imagined the stock market losing 89% of its value, an eleven year depression, and a world war resulting in over 60 million deaths. History is only logical in afterthought. The mystery of forethought is where we find ourselves today. •	A Crisis era begins with a catalyst – a startling event (or sequence of events) that produces a sudden shift in mood. •	Once catalyzed, a society achieves a regeneracy – a new counter-entropy that reunifies and reenergizes civic life. •	The regenerated society propels toward a climax – a crucial moment that confirms the death of the old order and birth of the new. •	The climax culminates in a resolution – a triumphant or tragic conclusion that separates the winners from losers, resolves the big public questions, and establishes the new order. We have countless valleys to cross and mountains to ascend before reaching our ultimate destination. There are no guarantees the outcomes will be positive or that the nation as we know it will even exist. It is certain that in twenty years the social order of this country will not resemble what exists today. The transformation could be positive or negative, depending upon whether we make the right choices during this Crisis. Gerold again – this ends Part 1 of “You Ain’t Seen Nothing Yet”. Jim listed the Saeculum periods below as the Crisis periods of modern history. He doesn’t mention it but it is noteworthy that these crises intervals are becoming shorter and shorter as time goes on. Given longer life spans and shorter intervals between Crises it’s possible that future generation may suffer more than one major Depression in their lifetimes. I’ve calculated the intervals between the average length of each Crisis and indicated the years since the previous crisis in bold except for our current period as it isn’t over yet. Below are links to Parts 2 & 3. This entry was posted in Collapse 2012, Economic Collapse and tagged collapse, crisis, Economic Collapse, financial crisis, Great Depression, Greater Depression, Greatest Depression, human life cycles, The Burning Platform, The Fourth Turning. Bookmark the permalink.